Get Your Free Pre-Planning Guide! If you would like to receive a FREE pre-planning brochure and price list for funeral or cremation arrangements for yourself or a loved one, please fill out the form to the right. We will send the requested information via your preferred method of communication right away. 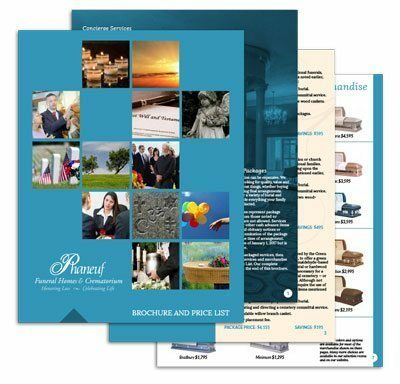 This comprehensive brochure includes all the information you’ll need to pre-plan burial and cremation services with Phaneuf Funeral Homes and Crematorium. We offer a variety of services and pricing options, including; concierge services, burial and cremation packages, veterans packages, embalming services, transportation services, additional merchandise, and more. By pre-planning final arrangements for yourself or a loved one, you can ensure that your wishes are carried out, eliminate financial uncertainty and provide peace of mind for yourself and/or your family members.